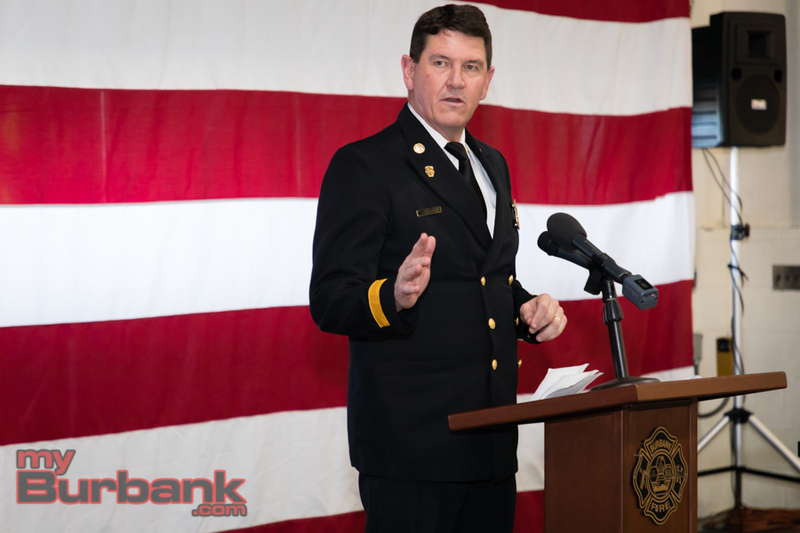 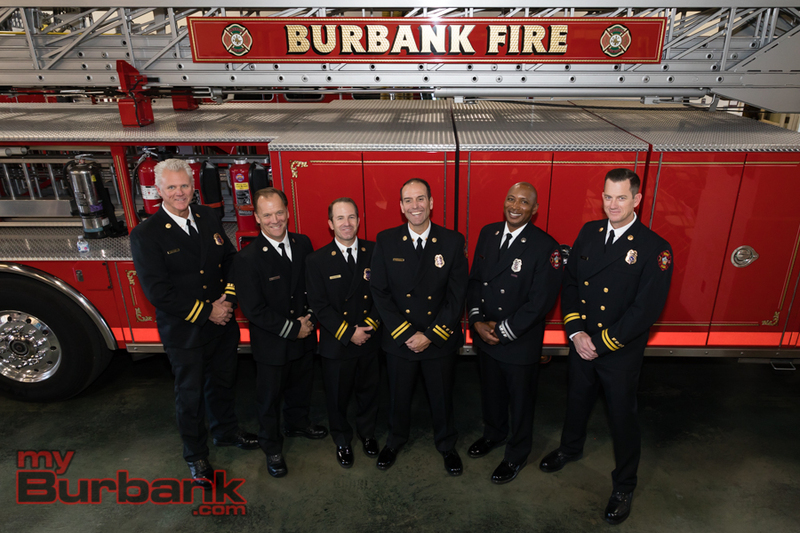 On Thursday Burbank Fire Chief Eric Garcia formally accepted Command of the Burbank Fire Department. 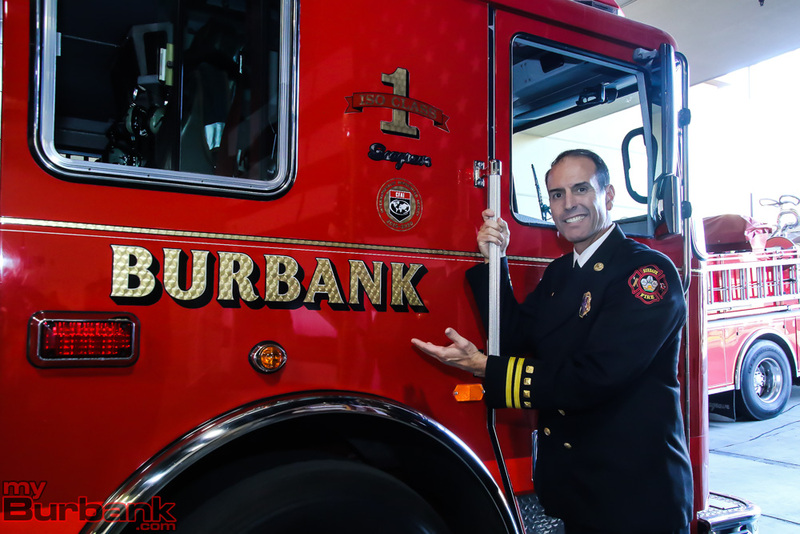 Following a 30 year career, Chief Tom Lenahan retired as Burbank Fire Chief, moving on to take the reins as Chief of the Hollywood Burbank Airport Fire Department. 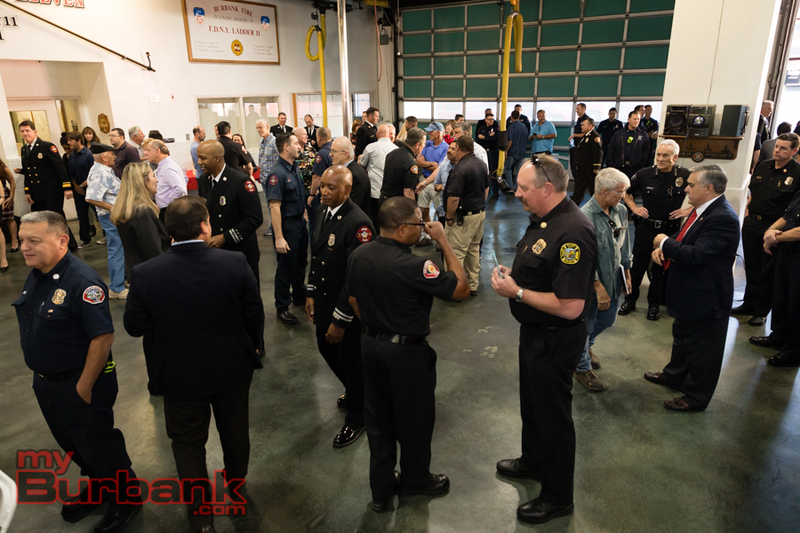 The ceremony, held at the Burbank Fire Department Station 11, was well-attended by area fire chiefs including those from the cities of Glendale, Pasadena, El Segundo, Alhambra, Culver City, Los Angeles, in addition to representatives from Los Angeles County Fire and the Hollywood Burbank Airport Fire Department. 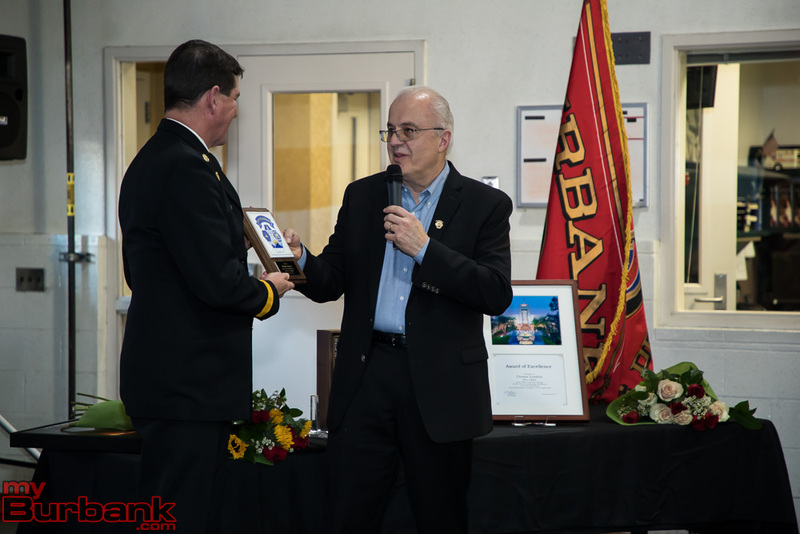 Of his many accomplishments as Chief, Lenahan may have left a tough legacy to surpass – his leadership bringing the Burbank Fire department to accreditation from the Commission on Fire Accreditation International, earning one of the highest classifications possible – the Class 1 Public Protection Classification (PPC) rating, making Burbank one of the highest rated fire departments in the United States. 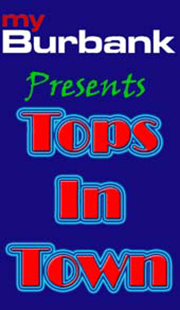 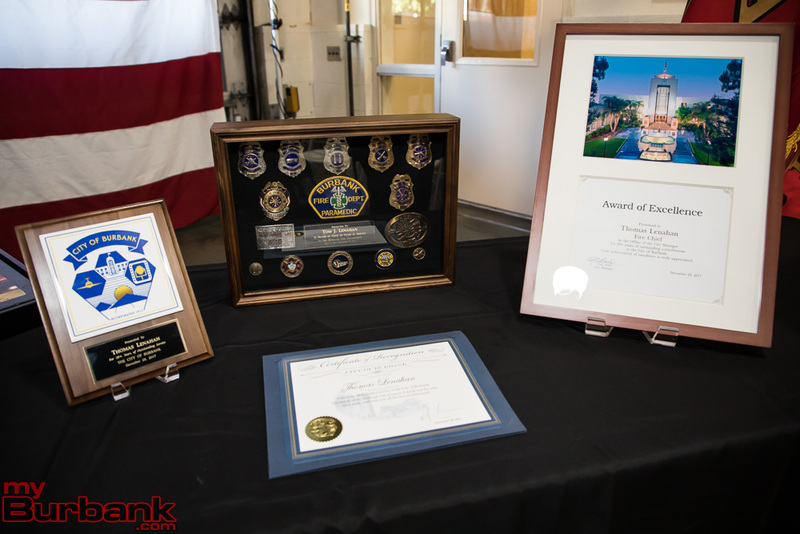 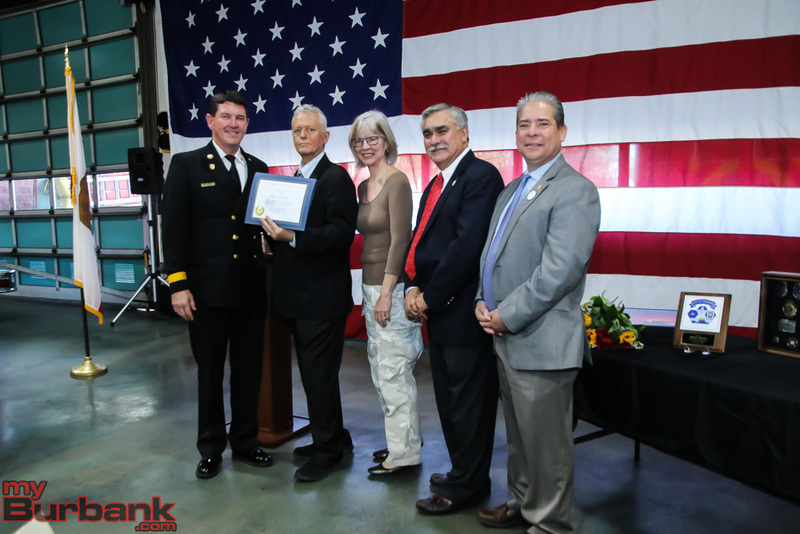 Lenahan received Certificates of Recognition for his service from a wide range of officials, including US Rep. Adam Schiff, CA Sen. Anthony Portantino, and City of Burbank Mayor Will Rogers. 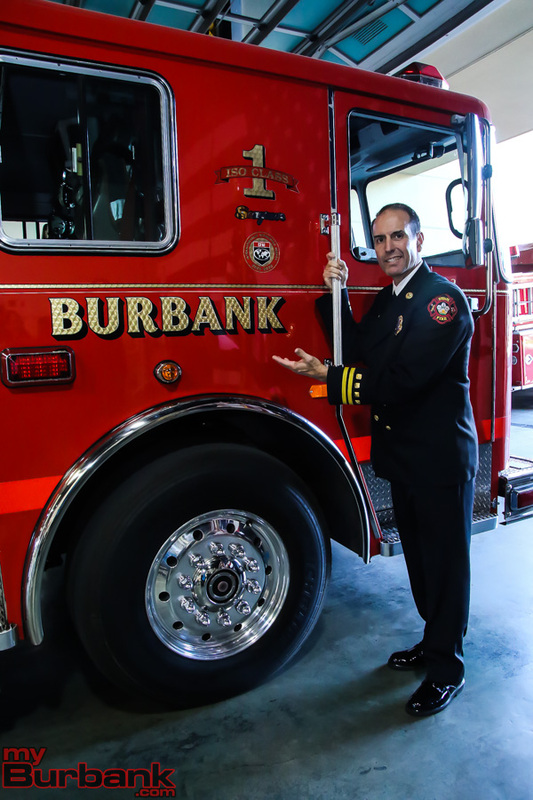 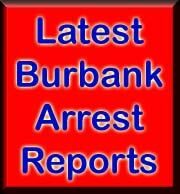 Garcia joined the Burbank Fire Department in 1994 and has served as a Battalion Fire Chief and Assistant Fire Chief. 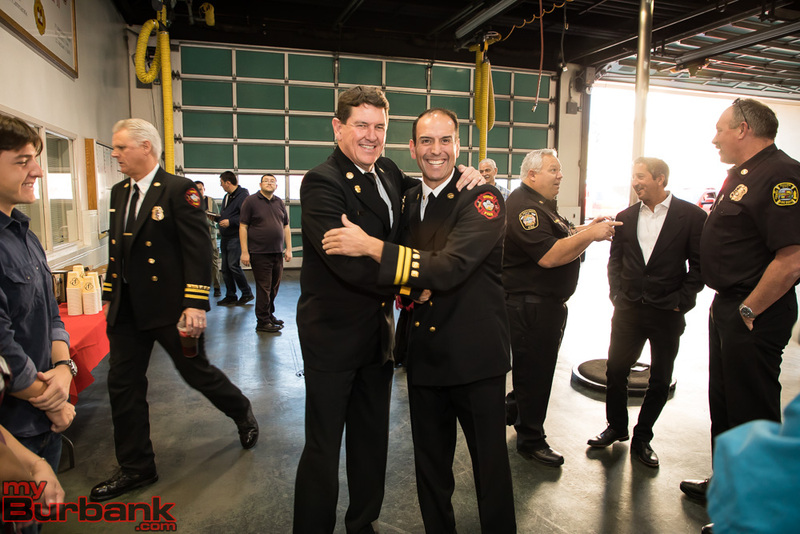 Known as the “Coach,” Garcia has a strong reputation as a team builder and team leader. 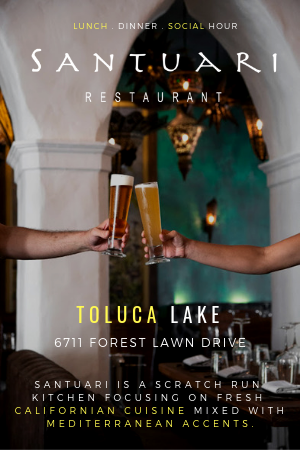 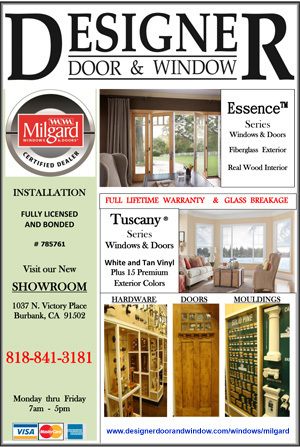 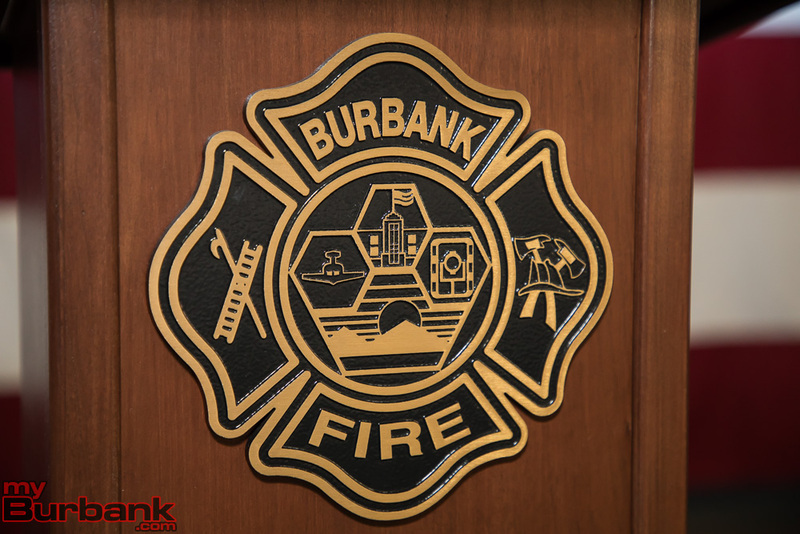 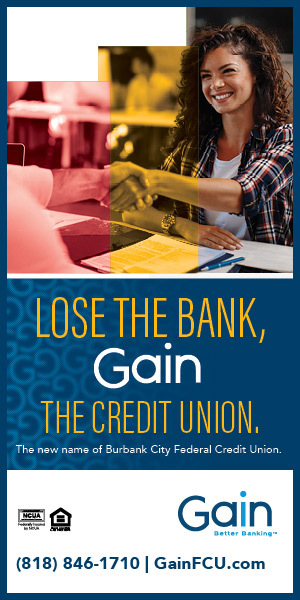 According to the Burbank Fire Department, Chief Garcia holds duel Associate Degrees in Fire Science and Paramedic Studies, a Bachelor’s Degree in Organizational Leadership, and continues as a Master’s Degree Candidate at Brandman University. 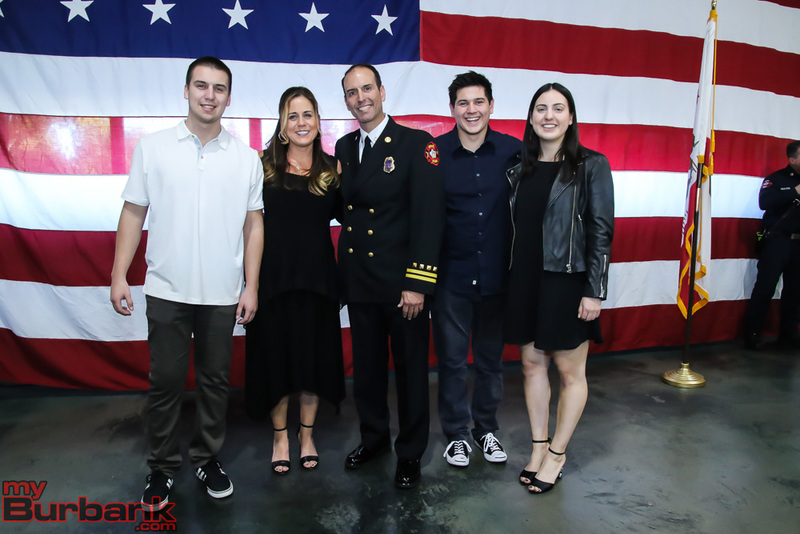 Garcia is married, with a daughter and two sons. 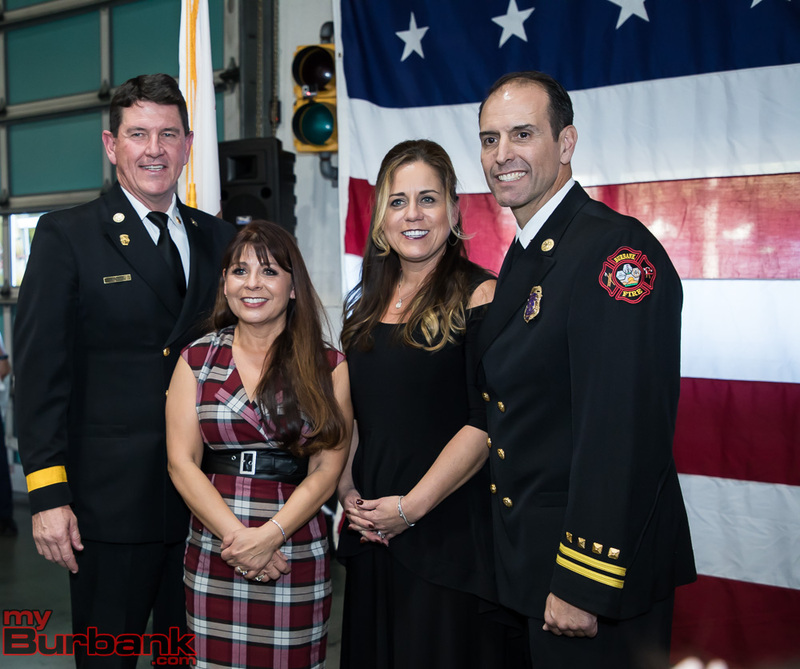 As newly appointed Assistant Chief Danny Alvarez brought the Change of Command to a close, a dispatcher from the Verdugo Fire Communications Center broadcast the message to member agencies announcing the formal change of command, with acknowledgment by each agency congratulating Chief Garcia into his new role as Chief, Burbank Fire Department. 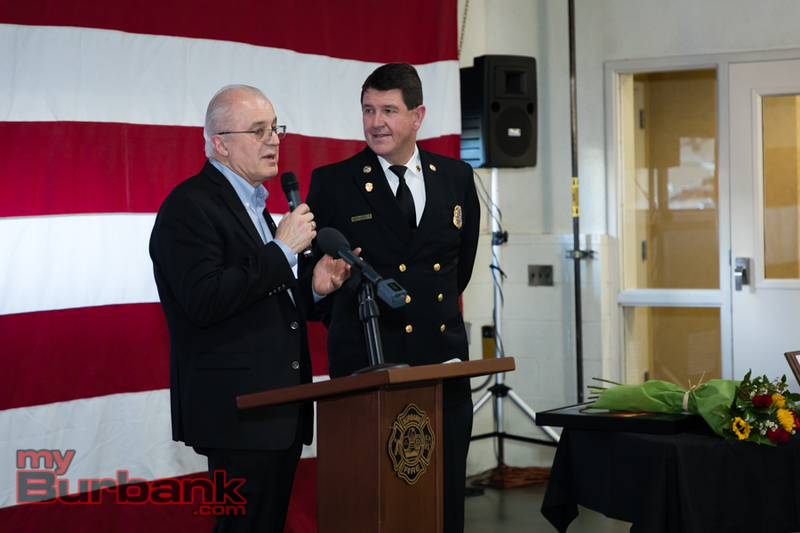 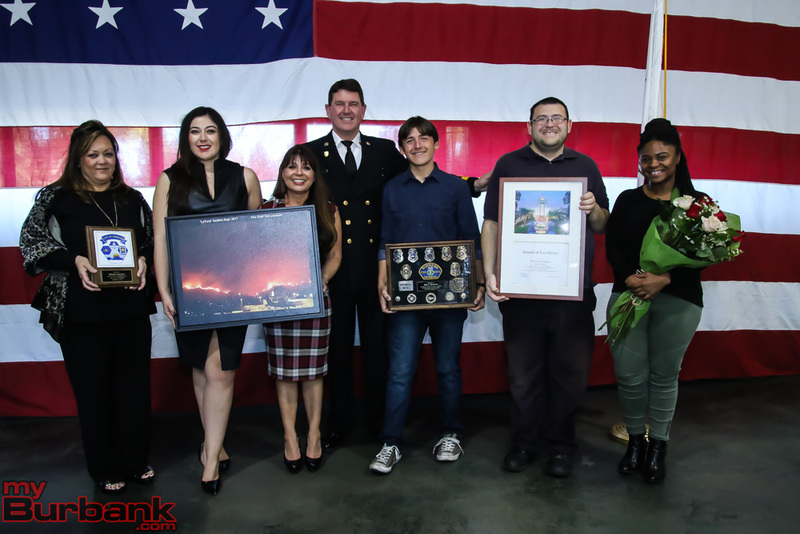 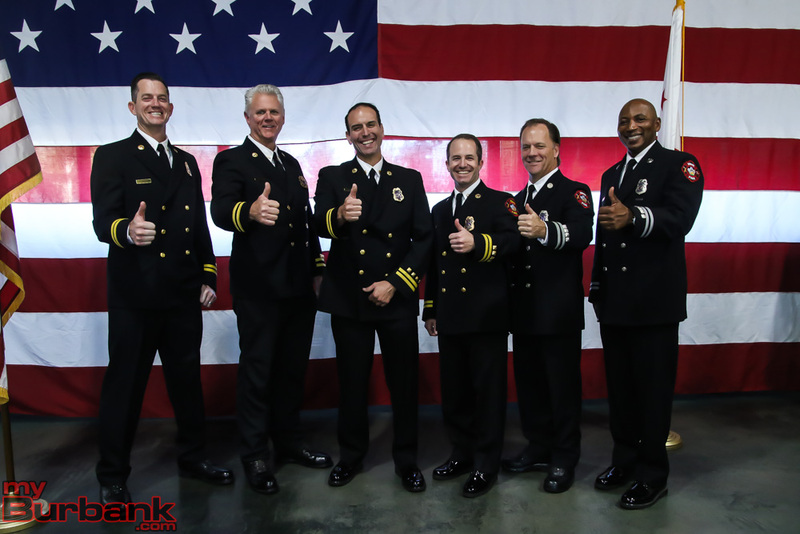 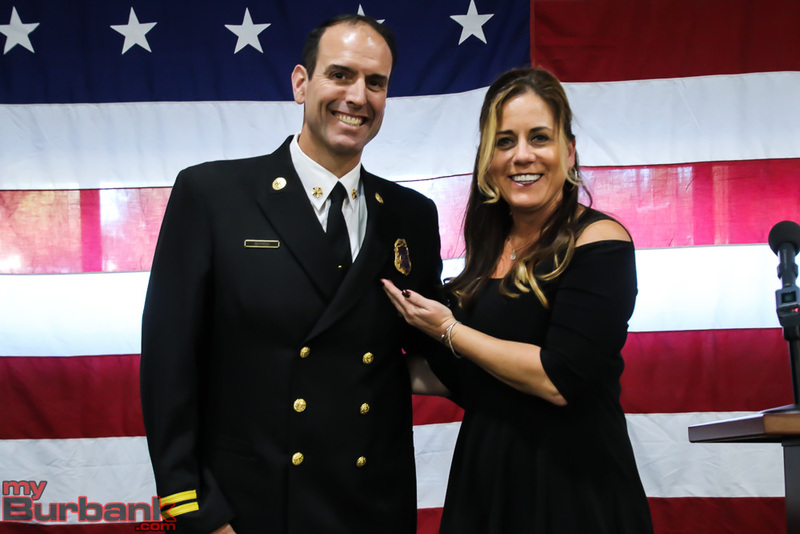 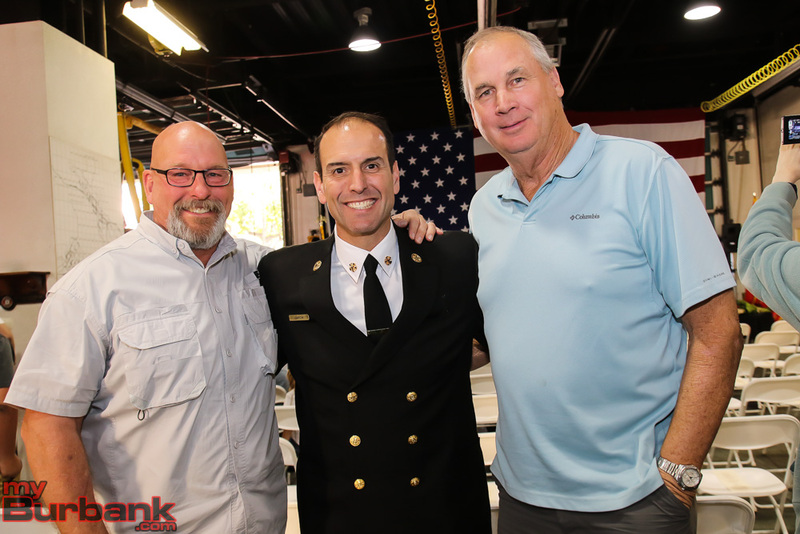 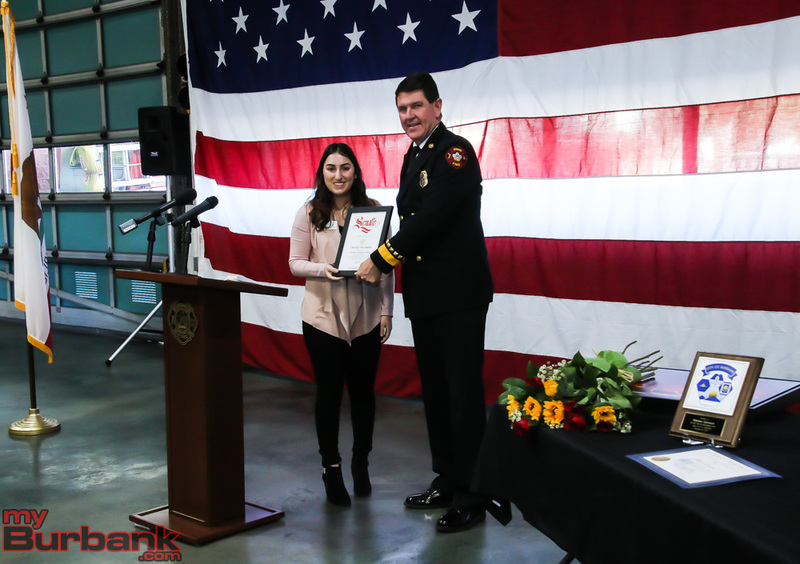 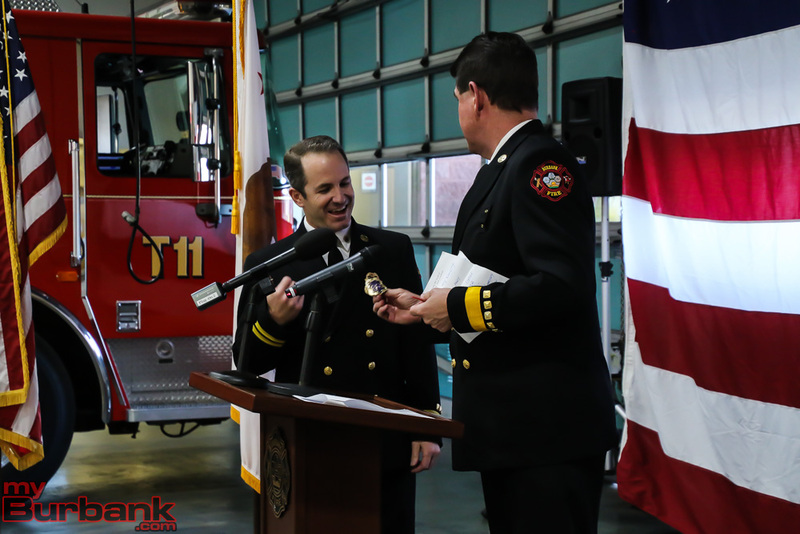 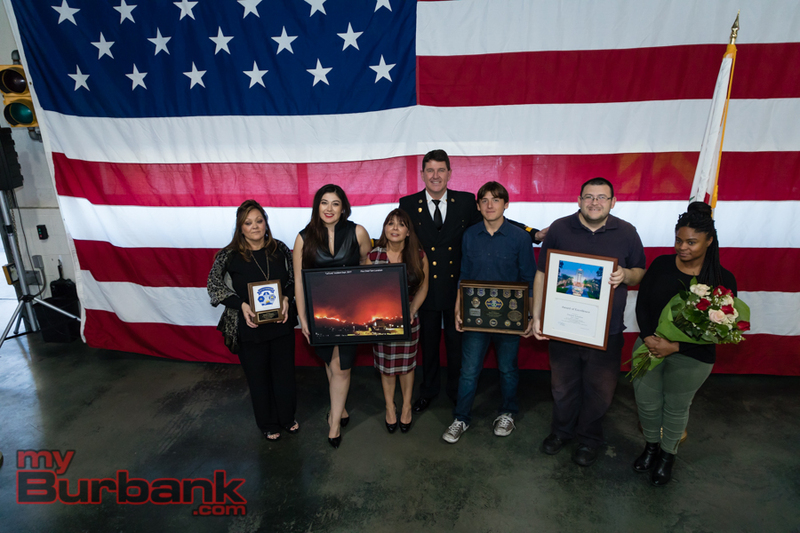 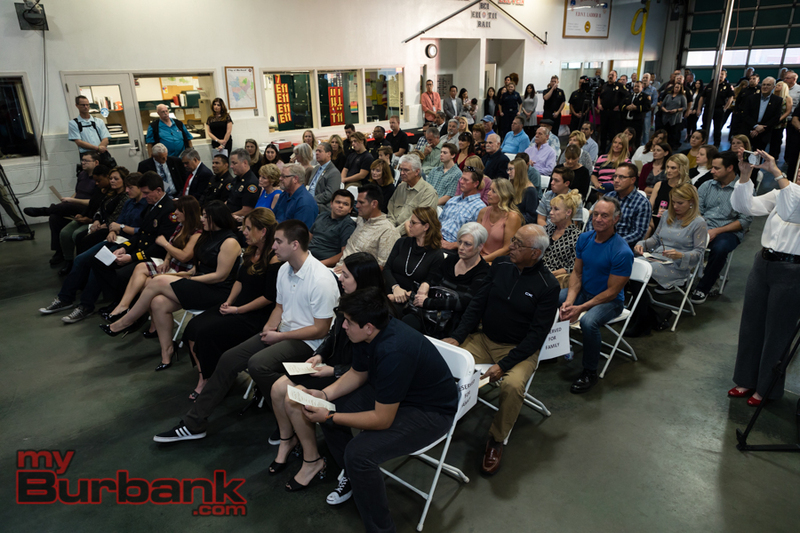 This entry was posted in City of Burbank, Fire, News and tagged Burbank Fire Department, Change of Command on December 29, 2017 by John Savageau.